NEW DELHI, India, April 11, 2016 (ENS) – The number of tigers living in the wild has increased to 3,890 animals, the first uptick in the global wild tiger population in 100 years, World Wildlife Fund and the Global Tiger Forum announced today. The new numbers were released ahead of an important tiger conservation meeting to be opened tomorrow in New Delhi by India’s Prime Minister Narendra Modi. This updated minimum figure, compiled from IUCN data and the latest national tiger surveys, indicates an increase on the 2010 estimate of “as few as 3,200,” due to improved surveys and enhanced protection. 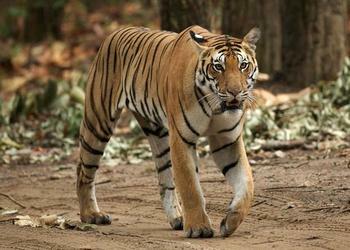 Observers have counted increases in tiger populations in India, Russia, Nepal and Bhutan. Chairman of the Leonardo DiCaprio Foundation and WWF board member actor Leonardo DiCaprio says he is optimistic after supporting tiger conservation with $6.2 million committed since 2010. At a conference in St. Petersburg, Russia in that Year of the Tiger, all 13 countries with wild tigers pledged to double their number by 2022 and adopted a Global/National Tiger Recovery Programme. The improved wild tiger numbers appear to be a direct result of conservation efforts that originated with that pledge. “I am optimistic about what can be achieved when governments, communities, conservationists and private foundations like ours come together to tackle global challenges,” DiCaprio said. Now, six years later and halfway to the year of reckoning, 2022, another conference is again gathering all the actors that DiCaprio mentioned. The meeting of tiger range governments at the 3rd Asia Ministerial Conference on Tiger Conservation this week is the latest step in the Global Tiger Initiative process that began with the 2010 Tiger Summit in Russia. More than 700 tiger experts, scientists, managers, donors and other stakeholders are gathering in New Delhi to discuss issues related to tiger conservation. Ministers and government officials from all Tiger Range Countries: Bangladesh, Bhutan, Cambodia, China, Indonesia, India, Laos, Malaysia, Myanmar, Nepal, Russia, Thailand and Vietnam will attend. While several tiger range countries like India, Nepal, Russia and Bhutan have registered an increase in tiger population, tigers are still classed as Endangered on the Red List of Threatened Species maintained by the International Union for the Conservation of Nature, IUCN. Prime Minister Modi will address the conference on the essential role tigers play as a symbol of a country’s ecological well-being. Javadekar said that due to the concerted efforts of the government and other stakeholders, more than 70 percent of the global wild tiger population is in India. He said that saving the tiger means much more than ecological balance, “It is helping in combating adverse effects of climate change as well. Tiger populations have been reduced to a “non-viable level in some range countries, which is a cause for concern,” Indian officials said. B.S. Bonal, Project Tiger director general and secretary with India’s National Tiger Conservation Authority, said delegates will discuss landscape conservation and habitat management, tiger reintroduction, monitoring protocols, anti-poaching strategy, modern tools and technology for monitoring and resource mobilization. Ahead of this week’s Ministerial Conference on Tiger Conservation, 23 conservation groups are calling on delegates to commit to a policy pursuing zero demand for tiger parts and products in their declaration. The groups say conservation successes occur in tiger range countries with strong laws, where wild tigers are valued for the role they play in the ecosystem, not in those tiger range countries where tiger farming exists and where they are valued as a commodity. 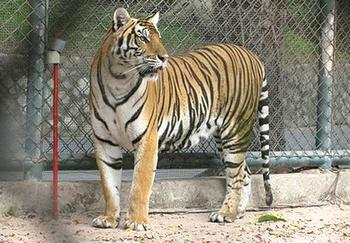 There are an estimated 7,000 tigers in captivity in tiger farms in Southeast Asia and China, the groups point out. The Chinese government has authorized a domestic trade in the skins of captive-bred tigers for use as luxury home decor and for taxidermy. This stimulates demand and increases pressure on the remaining wild tigers instead of reducing it, the groups say. The groups assert that tigers in India, Nepal, Bangladesh and the Russian Far East are still being targeted for markets in China and for consumers in Myanmar and Laos, Vietnam and Indonesia. Tigers are killed for their skins; their bones are used to brew tiger bone wine, their meat is sold as a delicacy and their teeth and claws are sold as charms. The 23 groups say that many facilities that keep tigers are engaged in legal and illegal trade, both domestic and international, in parts and derivatives of tigers. On the other hand, a new study by a team of Thai and international scientists finds that a depleted tiger population in Thailand is rebounding due to enhanced protection. This is the only site in Southeast Asia where tigers are confirmed to be increasing in population. It is also the first-ever long-term study of tiger population dynamics in Southeast Asia. The Government of Thailand in collaboration with the New York-based Wildlife Conservation Society, WCS, established an intensive patrol system in Huai Kha Khaeng Wildlife Sanctuary in 2006 to curb poaching of tigers and their prey, and to recover what is possibly the largest remaining “source” population of wild tigers in mainland Southeast Asia. “The protection effort is paying off as the years have progressed, as indicated by the increase in recruitment, and we expect the tiger population to increase even more rapidly in the years to come,” said the study’s lead author Somphot Duangchantrasiri. To monitor the tigers, the scientists employed rigorous, annually repeated camera trap surveys, during which tigers were photographed and identified from their stripe patterns, combined with advanced statistical models. Monitoring of the population from 2005-2012 identified 90 individual tigers and an improvement in tiger survival and recruitment over time.